A good, strong password may be the only thing standing between your identity and some cyber criminal lurking in the shadows of the web. With mSecure you can be sure your information is 100% safe from hackers and identity thieves. 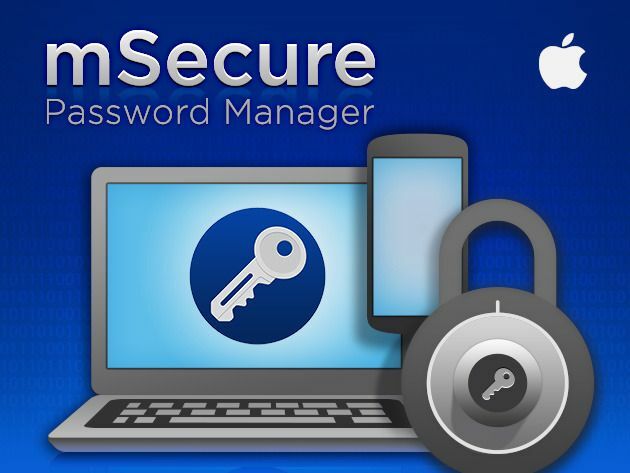 Right now you can get mSecure for 55% off the regular price – just $9 – courtesy of Cult of Mac Deals. Note: This is strictly the Mac OS version and does not support iCloud syncing. The Mac App Store version is required for iCloud syncing with iPhone, iPad and Mac devices. We apologize for any inconvenience this may cause. To choose between the Windows and Mac version, make your selection in the right column of the Deals page. mSecure is a password manager and digital wallet designed to help you organize and protect all of your personal information and data, securely stored. It remembers all your usernames and passwords so you don’t have to; from your most critical financial accounts to your social networking logins to credit card accounts and insurance policies, it’s all right at your fingertips and smartly synced between all your devices, mobile and desktop. 256-bit Blowfish Encryption, never been cracked. Your password is never saved anywhere in the software. Auto-lock to protect the app from prying eyes. Password Generator to create un-guessable passwords. Security Everywhere™ cloud data protection architecture not dependent on security of cloud service. Organize your data into groups, mark favorite records, etc. Integrated search to locate records quickly. 19 standard templates for fast data entry. Print records to produce physical backup. Over 270 icons to personalize your records. New auto-sync for Dropbox keeps data synchronized on all devices. Import data from competitor products directly or via spreadsheet. Sync multiple devices with multiple desktops via Wi-Fi. mSecure protects your data using the safest encryption code available and generates unbreakable, ultra-secure passwords for you whenever you need one. So don’t be “that” guy who scribbles down passwords on sticky notes or saves them in an Excel spreadsheet. You can manage all your passwords, usernames, account numbers, serial numbers, identities, and personal info with mSecure. You only have to remember one password – and you only have to pay $9 through Cult of Mac Deals now!